We find ourselves back in China again, to profile some acts I learned about from Matthew Young's Song By Toad blog. No, he doesn't specialize in Chinese pop either, but neither do I. Then we visit San Francisco for a promising new pop band, and finish with a goth synth band from London. 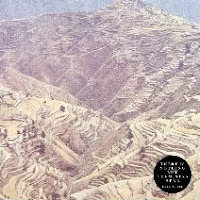 The Offset: Spectacles recorded this nice EP in Hong Kong and Beijing. There are three members, and the also run a label called Rose Mansion Analog, but I don't have any other information to share. San Franciso based pop band Dominant Legs consists of Ryan Lynch, Hannah Hunt, Rene Solomon, Andrew Connors, and Garett Goddard. They have a debut album coming out in September, and the following track is free on their Facebook page. And you may be interested in knowing that Ryan Lynch's other gig is live gig guitarist with Girls; I don't know about you, but that is serious indie pop credibility for me. Age of Consent is a goth, synth pop band from London. The members are Joe Reeves and Daren Cullen. I've given you some links below, but if you decide to look for information on your own, be advised that putting their name into a search engine may provide some unrelated hits with which you may not want to be associated. New Wilco song - "I Might"
From the forthcoming record, The Whole Love, due out Sept 27. I dig the farfisa organ. Here is a live performance of "Not Me" by Milk Maid, performed Thursday in Edinburgh. I'm not sure, but it may have been in Matthew Young's apartment. Matthew has a very good blog named Song By Toad, and also runs his own record label. Milk Maid - Not Me (Toad Session) from Song, by Toad on Vimeo. Big News! New Bloody Hollies - Yours Until the Bitter End - to be released on September 13! From San Diego by way of Buffalo, the Bloody Hollies play a loud, beautiful blues-punk that has made them one of my very favorite bands of the last 10 years. I have been shouting their praises from the rooftops every time, well, every time I've been allowed on a rooftop. Despite three brilliant albums, though, the stardom they would receive in a good and proper world has been elusive. That's a shame, especially because each album has been an improvement over its worthy predecessor, as the band becomes ever more careful about and comfortable with who they are. Frontman Wesley Doyle is a gifted guitar player with great garage instincts. He's not one bit afraid of his wah-wah pedal, nor is he afraid of taking a step back to let mate Joey Horgen have a crack at slide guitar. Doyle's vocals likewise have evolved from the Bon Scott screech prevalent on 2003's Fire at Will (ain't nothing wrong with that) to a near perfect wail that's one part Chris Robinson and two parts Jeffrey Lee Pierce. See if you can handle this song from their second album, 2005's If Footmen Tire You (Alive Records), complete with the wah-wah and pretty much everything else. Here's a live video of them playing a great tune off their last album, 2007's Who to Trust, Who to Kill, Who to Love. And here's the official video for 'Satanic Satellite', also from the last album. This tune got picked up for a video game commercial that I heard during NFL games last year (can't remember which one). So after putting out records in '03, '05, and '07, I was crestfallen when '09 came and went without a peep. Then '010 -- nothing. So you can be sure there was much rejoicing when I found out recently that Alive Records is releasing the new Bloody Hollies album, Yours Until the Bitter End, on September 13. Go listen to the entire first side at the nicely updated Bloody Hollies website and see if you aren't as blown away as I am. They haven't lost a bit of their edge, thanks in part to reenlisting legendary Detroit engineer Jim Diamond (Dirtbombs, Ghetto Recorders). This 3 song Soundcloud embed has 'Satanic Satellite' again, followed by two excellent tracks from the new record. I'll post more on this record when it's released. Start saving your quarters. 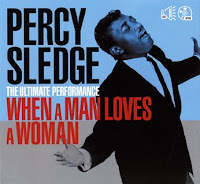 The Soul Corner - Percy Sledge "When a Man Loves a Woman"
Do yourself a favor and listen to this song as if you've never heard it before. Give it your full attention. Put the cell phone away, turn off the TV, banish the kids from the room, put the dog out. Intently listen, and enjoy. I was going to hold this all-time classic until later in the year to bring the Soul Corner to an apex, but I needed one for this week and could wait no longer. The song reached #1 on the charts in 1966. Legend has it that Percy Sledge wrote the lyrics on the spot in the studio while recording the track. If even close to true, that is so crazy off the rails, I have no comment. The Soul Corner doesn't get any more soulful than this. The Loose Salute released a critically acclaimed album in about 2007, and then seemed to drift off the map. Or at least they drifted off my map. Then, with regrettably little fan fare, the band released Getting Over Being Under this summer (on Big Potato Records in the UK and Graveface Records in the US). I invite you to listen to album track "Perhaps She'll Fly" while you continue to read (and if you don't want to continue to read after hearing that track, I can't help you). The Loose Salute - Perhaps She'll Fly from The Loose Salute on Vimeo. The Loose Salute is headed by Mojave 3 and Slowdive drummer Ian McCutcheon, and McCutcheon's voice is remarkably similar to his old bandmate, Neil Halstead. In fact, if you listen to the first cut on Getting Over Being Under, "It's A Beautiful Thing", you could be excused for thinking that the album is going to be Oh Mighty Engine! part II. However, the error of such an assumption is quickly dispelled as the album continues. For one thing, this is a summer pop album of varied tempos and styles. For another, while McCutcheon's vocals lead on some of the tracks, the voices of the two female members of the band, Lisa Billson and Charlotte King, carry many of the tracks. For the record, the additional members of this six-piece are Alan Forrester, Robert Jesse and Alden Evans. While the overall feel of Getting Over Being Under is light and airy, the individual songs still command the listeners attention. They reflect mature songwriting ability and the musicianship confident enough to change tempos and combine styles in a single song. Sure, the primary touchstone is US west coast dream/indie pop, there are more than a few touches of Americana and folk rock. And lyrically the songs reflect the additional years, and resultant triumphs, failures, and inevitable bruising that come with the passage of time. ☁ It's a beautiful thing ☂ from The Loose Salute on Vimeo. In case you still are in doubt, I think this is a great summer album. 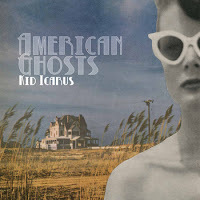 Discovered in a roundabout way... Matt from Beat the Indie Drum (a recent WYMABlog Twitter follower) has a label, Big School Records which is releasing this new record from Scranton band Kid Icarus. Got all that? At any rate, I followed the trail to Kid Icarus' site and checked out this record... It's good, straightforward indie rock music with ragged, jangly guitars, definitely worth checking out. Reminds me a little of American Princes out of Little Rock... that's a compliment. The first video comes from the productive gang Honeydrum, which has been cranking out wonderful lo-fi stuff all year. Honeydrum - Night Runner from honeydrum on Vimeo. From OK Go and dance troupe Pilobolus, "All is Not Lost"
The War On Drugs with "Come to the City"
Veronica Falls - Come On Over from Army Of Kids on Vimeo. Glasgow twins Bjorn and Erik Sandberg's Wake the President have a new album named Zumutung! to be released in the fall, and claim to be working on a another album. Or they're touring around Europe but telling us they are working on albums to be released later. Anything to get out of Glasgow in the summer. But to add some credibility to their claim, they have released "She Fell Into My Arms". And since it is a fine song, we'll share it with you. When I listen to the radio, I make a list of songs/artists that impress me so I can track them down later. Recently, I noticed that Austin, Texas' Pure X had earned several entries on the list. Investigating further, I discovered that this intriguing music was on the band's 2011 album, Pleasure. Thus, my mission of discovery became an album review. Pure X takes a style of which I'm fond, lo-fi psychedelia, and then personalizes it by slowing it down and minimalizing it to the point where any added flourish or sound becomes more striking. The result is a hazy wave of delicious distorted vocals and reverby instruments. Some of the songs, such as "Easy", "Voices" and "Dream Over", have a pop feel to them, while others, like "You're In It Now", have have more of a jam vibe. If I pretend that I have a few seconds during an elevator ride to explain their sound to you, and I'm required to use at least four other artists as reference points (I only deal with realistic scenarios here), I'd say Pure X sounds like a combination of The Jesus and Mary Chain and Deerhunter at 2 AM after a session drinking and jamming with Townes Van Zandt and Neil Young. The band was founded in 2009 by guitarist/vocalist Nate Grace, bassist Jesse Jenkins, and drummer Austin Youngblood as Pure Ecstasy, and later became Pure X. Pleasure is released on Acephale Records. I understand that an earlier EP has been re-released as well. pure x - you're in it now from Scott Gelber on Vimeo. Pleasure is a good album for the rush you get when you hear the songs that first drew you to Pure X. But its lasting merit is in the way the entire recording works its way into the pleasure center of your brain, slowly but surely demanding recognition and replay. Blue Sky Archives are an unsigned Glasgow band that plays a melodic strain of post rock. The groups consists of Gavin MacDonald, Lauren Mayberry, Paul Mark McGrath, Matt Phelan, and Ross Rankin. We have their most recent EP and an older EP below for your enjoyment. 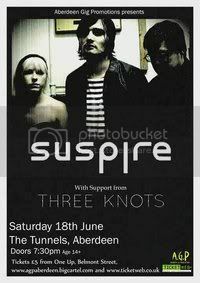 Suspire is Glasgow a three-piece consisting of Paul Duffin (lead vocals, guitars), Mark Duffin (bass guitar, vocals), and Clare Kelly (drums, percussion). They record for their own label, which is named Clay Davis Records. "Salvation Sister/Set in Stone" was released in May 2011. We've featured Cancel the Astronauts before, but I'm posting this little teaser video to let everyone know what indie pop goodies they can expect from the lads when their album is released later this year. Torche covers Guided by Voices. Check out this video of Miami's best metal band, Torche, covering Guided by Voices' 1993 classic "Exit Flagger" last week. I was blown away when I saw Torche last year opening for High on Fire, and one can only imagine how cool it would be to hear them blasting out old GbV. They're on the road still promoting their excellent 2010 album "Songs for Singles." I put their tour dates below the video. Love them or hate them, one thing the concentrated power of record labels seemed to do was keep multiple bands from getting to the stage of releasing an album while still having the same name as another band doing the same thing... well, things have changed. Sometimes I will hear something, make a note to myself to look the artist up, and that's that. Later when I have time, I'll look 'em up and see what I think. Here's a case where the band I heard has led me not only to their own good music (check the immediately preceding post featuring Tall Ships from Brighton, UK), but to another really good band, as well - these guys from San Diego, CA USA. New to me, though it's been out since February. This is a San Diego band, a trio: Steve Kuhn on guitars and vocals, Kyle Conwell on bass, guitars and vocals and Keith Andrew on drums and percussion. I like their sound, reminds me a little bit of Pinback, Modest Mouse, and maybe Eleventh Dream Day... you can check out a song for yourself at their label site (link below). Good stuff, well worth your time. Love them or hate them, one thing the concentrated power of record labels seemed to do was to keep multiple bands, at least multiple bands at the stage of recording and releasing whole record albums, from having the same name. In this new DIY, fragmented music world where an artist is empowered to create, produce and market music on its own and there are full-service labels in cities all over the world, this was probably inevitable. 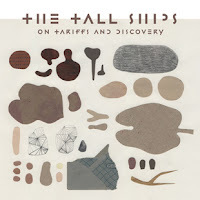 I recalled hearing a track by a band called "Tall Ships", went online to search and found a really good band called Tall Ships in San Diego, California USA (see immediately following post). I wrote about them because I liked their sound. But, you know what? I was actually looking for this band, because the song that drove me to look into the band in the first place was "Plate Tectonics". I'm sure that there are seaside communities all around the world full of young men who are entranced by the concept of taking to the sea on tall ships, and so there may be perfectly good bands with that name in New Zealand, Alaska and Maine for all we know. But the ones in Brighton, UK and San Diego, CA are both real good and we at WYMA don't think you should discriminate or make the mistake of thinking "I've heard one, I've heard them all". You've heard from the Californians, check out the Brits. Members are listed as Jamie, Ric and Matt.